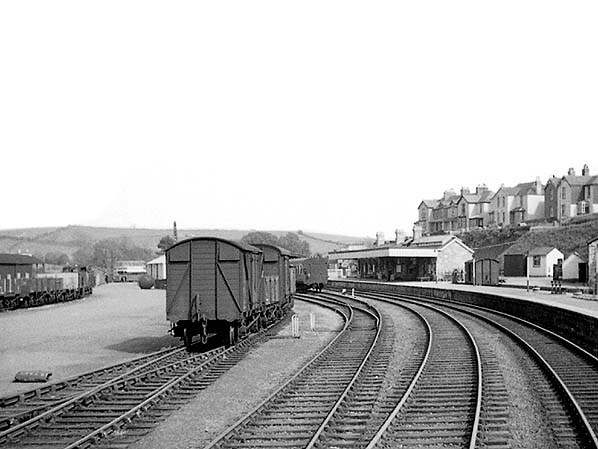 Present state: By 1982 the station yard was an industrial estate with numerous asbestos buildings. 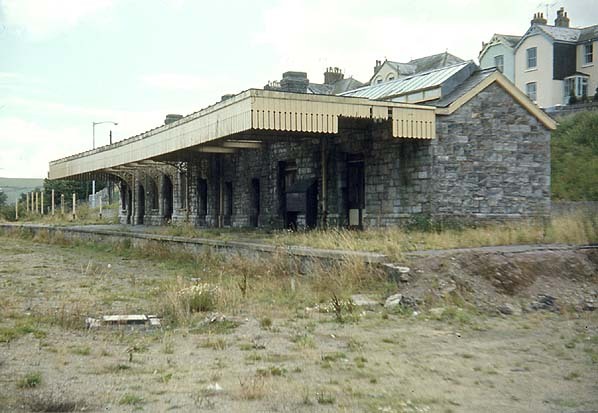 The main station building survived largely intact for 36 years at the south as part of a transport depot but was demolished in 2009 leaving only part of the platform. 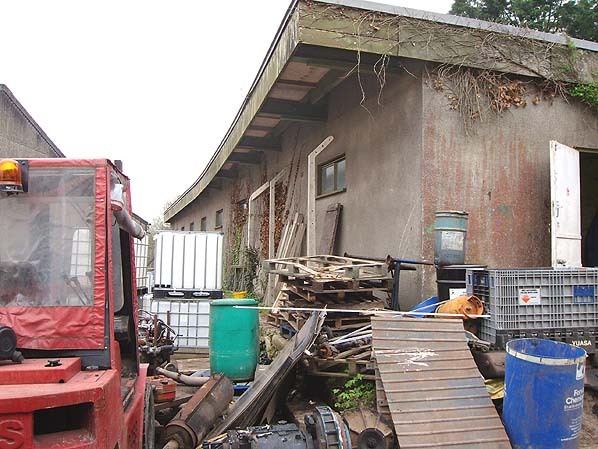 The substantial goods shed is extant. 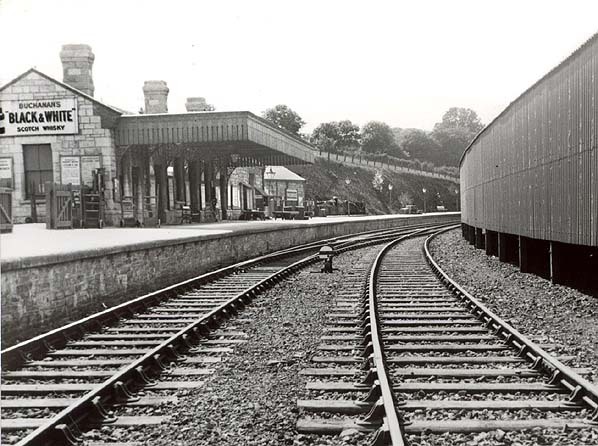 Notes: The main station building, engine shed, goods shed and the bottom part of the signal box were all solidly built of stone but the carriage shed located on a siding adjacent to the run round loop was a corrugated iron shelter painted black. 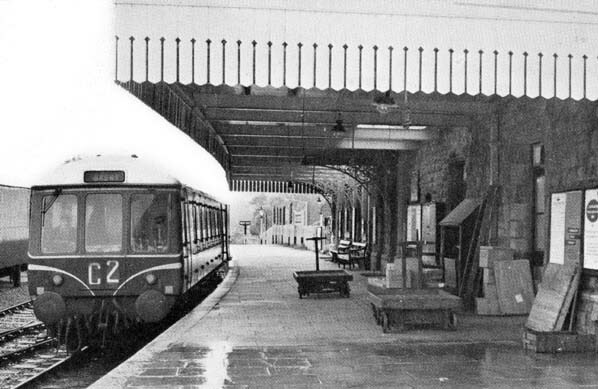 It provided shelter for two passenger coached and must have been a later addition. 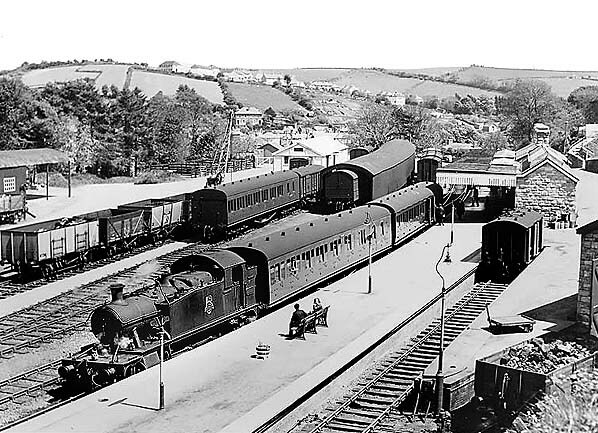 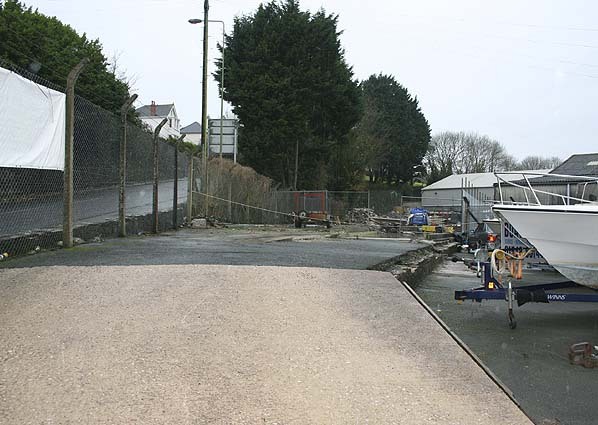 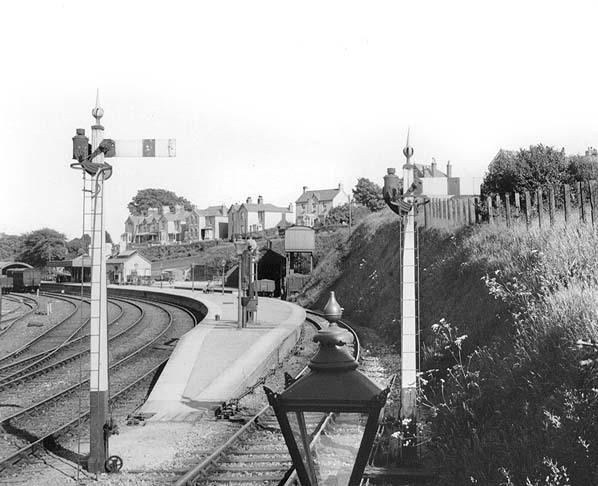 As the line approaches Kingsbridge it is now lost under new housing on either side of the A379 but the station site is now an industrial estate with the main station building and substantial goods shed remaining intact. 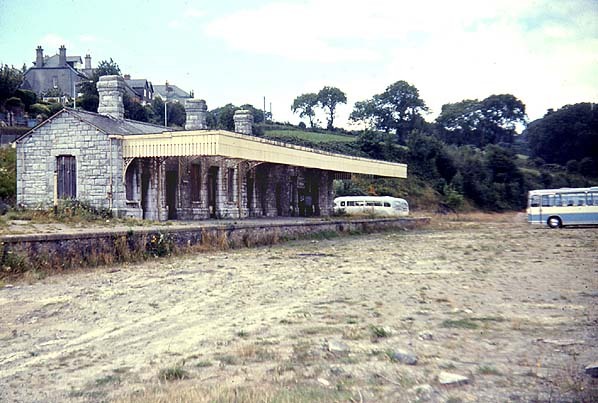 In early 2006 Kingsbridge station was threatened with demolition but after a local campaign the owner withdrew the proposal but the station was demolished in 2009. 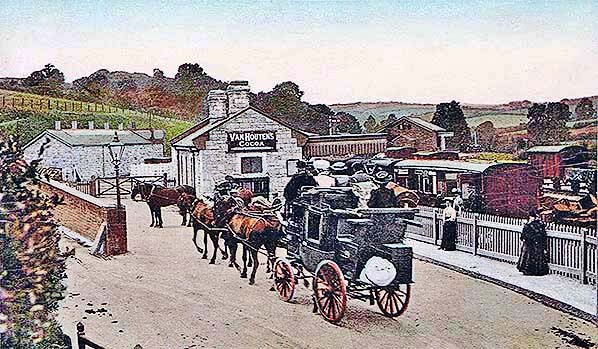 Dartmouth coach arriviing at Kingsbridge station c1908.